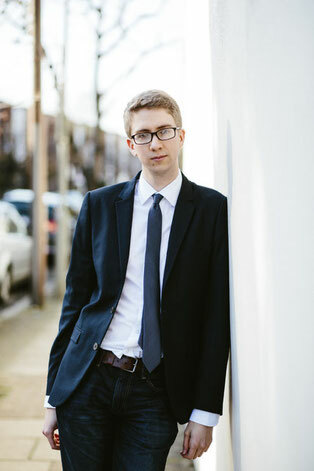 British pianist Ian Tindale is increasingly in demand in song and chamber music and has performed across London, the UK and Europe. Recent engagements have included song recitals at the Oxford Lieder Festival, Buxton Festival and Ryedale Festival, and he frequently collaborates with artists such as Soraya Mafi, James Newby, Anna Harvey, Josep-Ramon Olivé and Rowan Pierce. Ian read Music at Selwyn College, Cambridge, where he was also Organ Scholar. He graduated with a double first in 2011, and continued his studies at the Royal College of Music (RCM) in London; he graduated with distinction in 2013 following study with Simon Lepper, John Blakely and Roger Vignoles. In 2017 Ian was awarded the Pianist’s Prize in the Wigmore Hall/Kohn Foundation Song Competition following performances with duo partner soprano Harriet Burns. He has also won accompaniment prizes at the Kathleen Ferrier Awards, Royal Overseas League Music Competition, Gerald Moore Award and Maggie Teyte Competition. Ian has worked with established artists Ailish Tynan, Christopher Purves, Susan Bullock and Nicky Spence and performed in masterclasses with Graham Johnson, Malcolm Martineau, Sarah Connolly, Gerald Finley, Thomas Allen, John Tomlinson, Felicity Lott, Brigitte Fassbaender and Olaf Bär. Ian was a soloist for a royal audience at Buckingham Palace as part of the Royal Music Day for Schools, and he has performed at the British Ambassador’s Residence in Paris and for visits to the RCM of the First Lady of China and RCM President HRH the Prince of Wales. Recent performance highlights include the world premiere of Daniel Kidane’s Songs of Illumination at the Leeds Lieder Festival with tenor Nick Pritchard, and an appearance at the International Lied Festival Zeist with Harriet Burns. In both 2016 and 2017 Ian performed at the Wigmore Hall Samling Showcase after being selected as a Samling Artist in 2014, and he continues to work as a pianist and coach for Samling Academy. Ian is also a Britten Pears Young Artist. Other recent performances have included recitals at the Royal Overseas League in the Edinburgh Fringe Festival and a recital marking the World War 1 Centenary with tenor Robert Murray. In July 2018 he returned to the Ryedale Festival to collaborate with soprano Harriet Burns, the Albion Quartet and flautist Adam Walker in a series of concerts devoted to the chamber music of Dvorak. In the 2018/19 season Ian will be performing throughout Europe with ECHO Rising Star Josep-Ramon Olivé in a programme of Lieder by Schubert, Strauss and Korngold.